Robert Charles Whiteman, a lifelong resident of South Bend, passed away on Sunday evening, February 10, 2019. He was 93 years old. He was born June 8, 1925 in South Bend, a son of the late Byron D. & Margaret A. Edwards Whiteman, and was a graduate of James Whitcomb Riley High School. Following high school, Bob proudly enlisted in the United States Navy, on August 21, 1943, serving during WWII, and served with the Seabees. He was honorably discharged on January 27, 1946. He then enlisted in the Reserves, and was called back into service during the Korean War in 1950, and was honorably discharged February 11, 1952. On January 9, 1946 in Providence, Rhode Island he was united in marriage to Phyllis I. Kennedy. They just recently observed their 73rd wedding anniversary. In addition to his wife Phyllis, Bob is survived by his daughter, Barbara Whiteman of South Bend, IN; and his son, Byron G. (Rebecca) Whiteman of Rockledge, FL; a granddaughter, Stephanie Whiteman, a sister Jane Whiteman of Atlanta, GA; and brother, Edward Whiteman of South Bend, IN. He was preceded in death by his son Richard Whiteman in 1948. Mr. Whiteman retired in 1989 from Fabricated Steel where he worked for 37 years. He also worked for 6 years at Georgie Boy Motor Homes in Edwardsburg, MI. 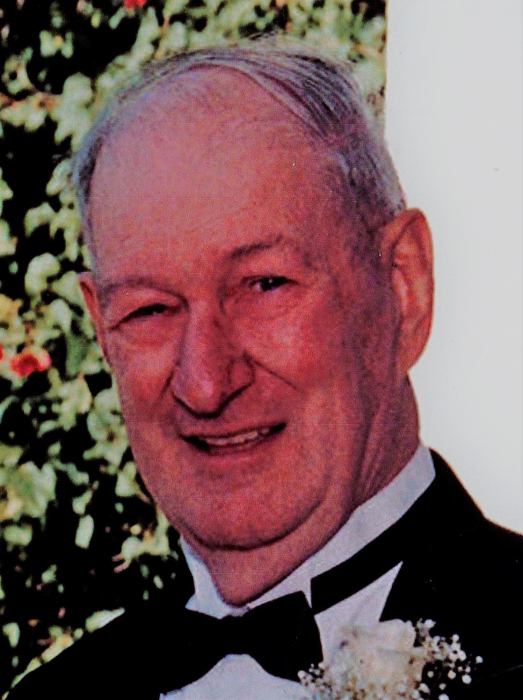 He was a member of St. Joseph Lodge #45, F. & AM; Ancient Accepted Scottish Rite Valley of South Bend; Orak Shrine of Michigan City; Orak Tuxedo Patrol, former Masonic Investment Club, and was an active member of the former Avalon Grotto where he was a Trustee, and Rental Chairman. He was a volunteer driver for the Shrine Hospital for Children, and formerly served as Manager of Little League, and Scout Master for Troop #173 at Grace United Methodist Church. Services celebrating Robert Whiteman’s life will be at 1:00 p.m. Saturday, Feb. 16, at Palmer Funeral Home-Guisinger Chapel, 3718 South Michigan Street, South Bend. Burial with military honors will follow at St. Joseph Valley Memorial Park, Granger, IN. The family will receive friends from 3:00 - 7:00 p.m. Friday, Feb. 15, at the funeral home where members of St. Joseph Lodge #45 will conduct a masonic memorial service at 7:00 p.m.